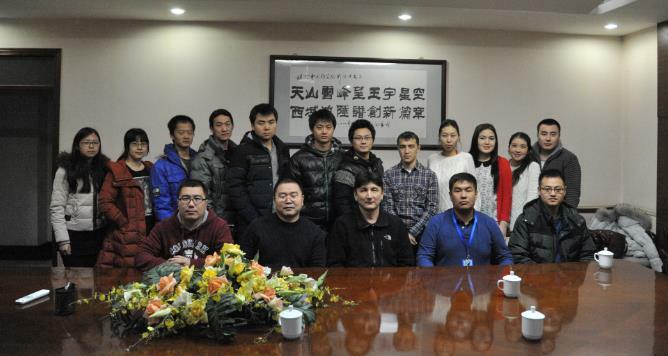 From Jan 6th to 18th, 2016, five students and one teacher from Department of Physics, Al-Farabi Kazakh National University visited Xinjiang Astronomical Observatory (XAO) for training. During this visit, Research Fellow Jarken Esimbek, the PI of Star Formation and Evolution (SFE) Team of XAO, has made a detailed study and research plan, including theory of single dish and interferometer observation, radio astronomy and infrared data processing, astronomical maser, Infrared Dark Cloud(IRDC) and infrared bubble. While at NanShan Observatory, Jarken gave the students lectures about radio astronomy, radio telescope and antenna measurements. The SFE Team provided one-on-one mentoring for the students while training. With joint efforts of both sides, this training has been successfully completed.